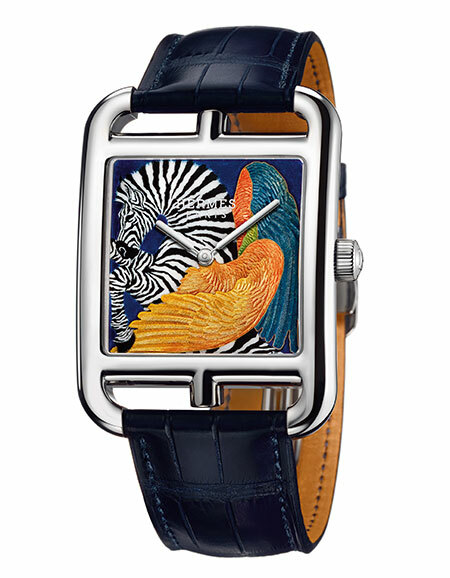 What Happens When Creativity Meets Haute Horlogerie? Historically, for the most part, watchmakers have been perceived primarily as mechanical engineers and technical experts. Without doubt, watchmaking is an art in itself; one that involves patience, precision and refined skill. In the recent years, though, artisanal dexterity has played a noticeably greater role in the creation of timekeepers, particularly in the adornment of watch faces and dials. From embroidery to engraving, crafts are making a major comeback in the horological universe, and we couldn’t be more pleased to witness the efforts being made to keep these ancestral techniques alive and blossoming. Today’s top players are turning their attention to those of us who appreciate heritage, artistry and finesse — making way for a host of exciting creative possibilities while still staying true to the quality and craftsmanship of traditional watchmaking. Presently, enamelled dials seem to be the most popular product of this renaissance of sorts, but lesser-known techniques like filigree and tessellation are earning great fan followings of their own. 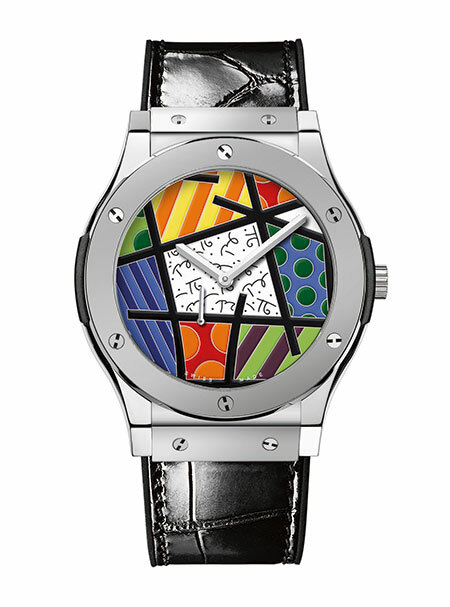 Métiers d’Art is the expression of the year and watch faces are the cool new canvases. This complex technique enables adept craftsmen to create miniature masterpieces while demanding an aptitude for both art and alchemy. The procedure is as awe-inspiring as its results, calling for glass to be melted together with a colourant like metal oxide, and then set to cool and bond on a metal surface. A process of ‘heat, cool and add another layer’ is repeated several times until the artist is content with the design. 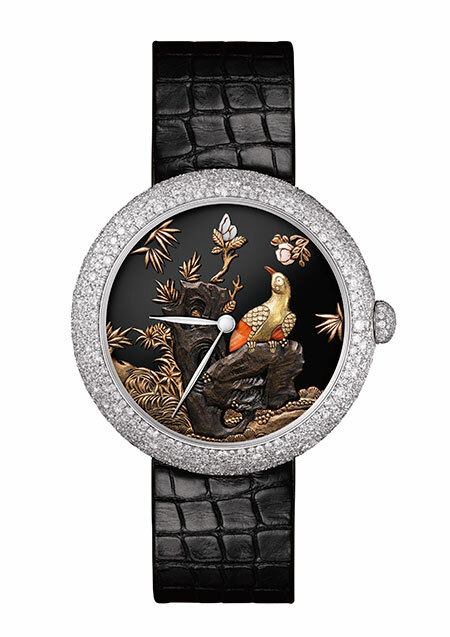 The Jaquet Droz Petite Heure Minute Relief Carps pays homage to the koi, which is a symbol of love and long life. Three of the elegant Asian symbols are seen weaving through azure waters, created through subtle layering of translucent blue enamel, and alongside a remarkable lotus bloom. Brazilian artist Romero Britto fuses pop art and cubism with the art of grand-feu enamelling with the Hublot Classic Fusion Enamel Britto. The explosion of colour, divided into cloisons, takes on a three-dimensional appearance on the flat surface of the dial. 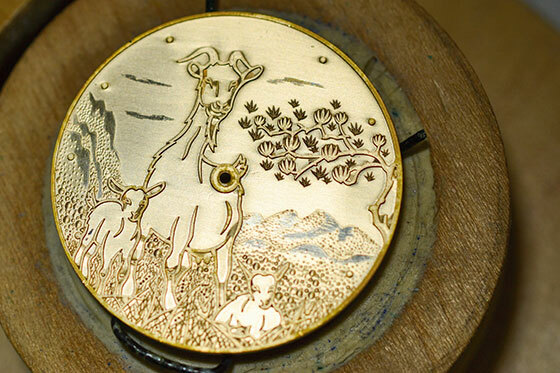 Commemorating this year’s animal sign for the Chinese New Year, the Ulysse Nardin Classico Goat is fashioned in champlevé enamel and features a family of three goats against a magnificent night sky. 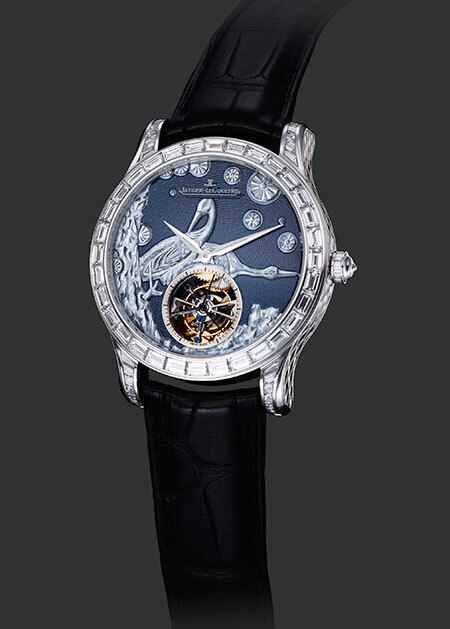 Two cranes are dexterously balanced on the midnight-blue dial of the Jaeger-LeCoultre Master Grand Tourbillon Enamel watch, offset by a white gold case and baguette-cut diamonds. Japanese in origin, shakudo is an alloy which is principally composed of copper and gold; one that can attain an interesting dark brown or blue-black colour. Though not necessarily categorised as a technique, it is the delicate art of handling and manipulating the metal compound historically used to make swords, decorative objects and jewellery. Artisans who practised shakudo often added engravings and ornamentations. The dark patina is obtained by a process called passivation, which involves application of a solution, traditionally known as rokushō. Shedding light on an art form that is rarely seen in horology, the Blancpain Villeret Les Métiers d’Art Shakudō is truly eye-catching and one-of-a-kind. 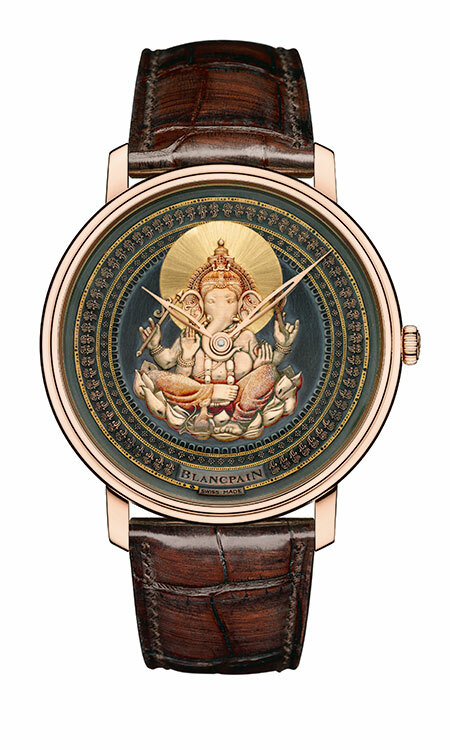 The ancient art is flawlessly combined with the skills of engraving and damascening to present the image of Ganesh, encircled by intricate motifs and a hand engraved gold throne. Named after the Latin word tessela, meaning paving stone or tile, the art of tessellation refers to the tiling of a plane, wherein a shape is repeated over and over again, allowing for no overlaps or gaps. Mathematicians have viewed the technique as an expression of their science, the Romans used it in their architecture, and the Moors raised it to an authentic art form in the period stretching from 700 to 1500 AD. The Vacheron Constantin Métiers d’Art Les Univers Infinis Horseman pays homage to the Dutch artist Cornelis Escher and his love of tessellation. The interlocking motifs of Ottoman horsemen in gold and mother-of-pearl marquetry create an outstanding optical illusion. Tiny, coloured stones are painstakingly fixed and cemented onto a watch dial to bring creatures, silhouettes and abstract visions to life. This technique is an example of precision, executed on a substantially small surface. This year, the Cartier Panther Stone Mosaic Motif Large Model Tortue watch proved to be one of the major highlights at the Salon International de la Haute Horlogerie (SIHH). 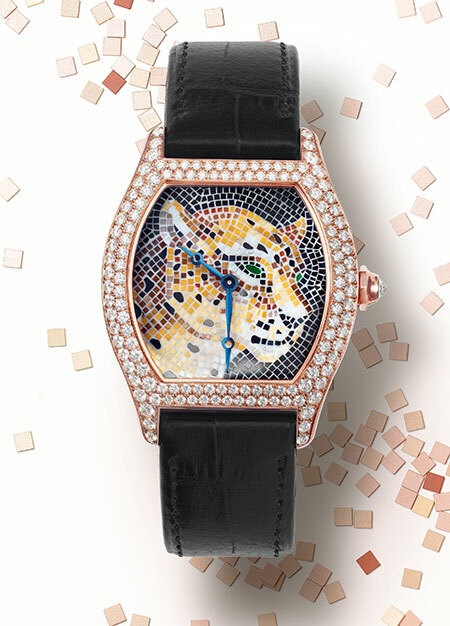 Its stone mosaic panther motif is truly awe-inspiring, sitting pretty under blued steel hands and enclosed by an 18-carat pink gold case. Also known as the art of engraving on gemstones, glyptics was considered to be the most esteemed form of adornment in ancient Egypt, Rome and Greece. Using this technique to bedeck the face of a watch is quite tricky as the hands must be able to move despite the raised stone artwork. Micro tools are used to cut the precious stones, which are then pieced together to form bird, tree and other natural motifs. Inspired by a lacquer screen that belonged to Coco Chanel, the Chanel Mademoiselle Prive Coromandel Glyptic allows sculpted gold figurines and precious gemstones to steal the spotlight against a jet-black background. We’ve established it here before — couture and fine watchmaking have a lot in common and, oftentimes, share techniques. Embroidery in horology calls for the finest thread and the most skilled hands, two factors that can result in the most fabulous statement watches. 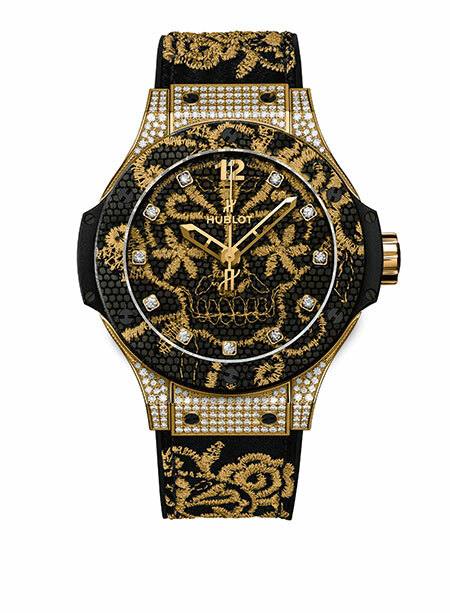 Marrying technical excellence and Swiss needlework, the Hublot Big Bang Broderie makes for a powerful feminine watch. Delicate tulle is encased and moulded in carbon fibre to amplify the texture that the bold, gold embroidery gives to the timepiece. Commonly referred to as latticework or fretwork, its invention is attributed to the Sumerians, around 3000 BC. The technique features gold or silver wires, which are soldered together to make an openwork grid that is fashioned into a motif. The Ronde Louis Cartier Filigree Watch stands as a testament to the brand’s commitment to perpetuate heritage art forms. 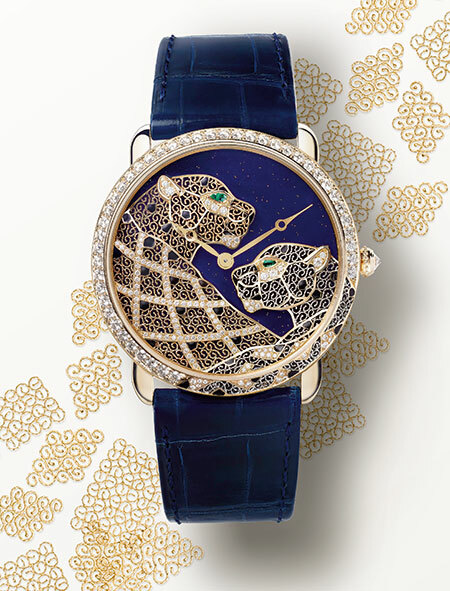 Craftsmen twist, roll and curl gold and platinum microwires in order to form an illustration of two panthers, Cartier’s emblematic animal, draped in brocade. 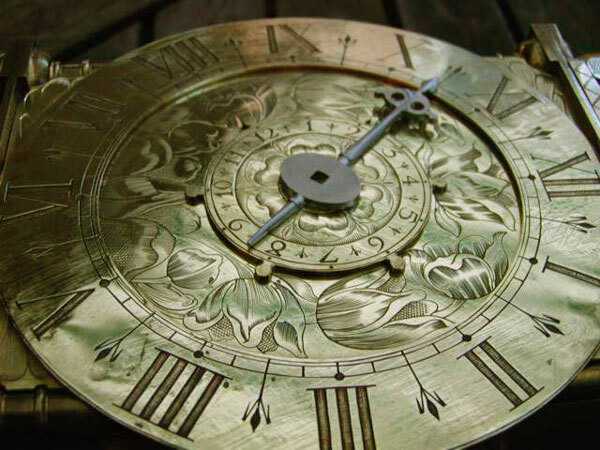 As if the intricacy of enamelling wasn’t enough, a number of contemporary dials also showcase the art of engraving to add extra oomph to the ticking tours de force. Think of precision surgery — no other finish transforms the smooth surface of metal as intensely as engraving does. Bring the two techniques together and you have a true work of art. 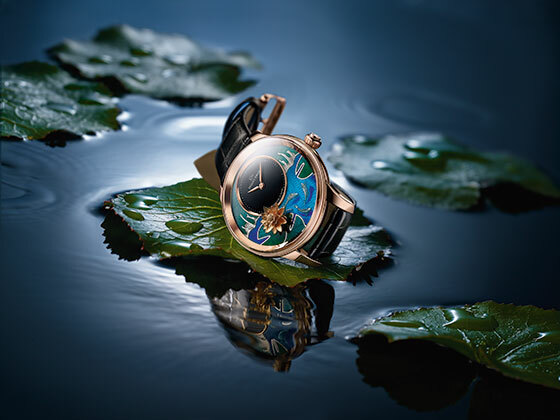 The Jaquet Droz Lady 8 Flower embodies a passion for nature and technology. 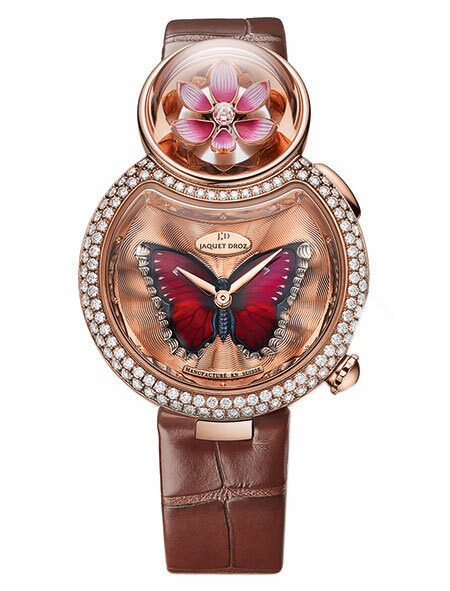 The lower part of the dial features a butterfly, painted and engraved in translucent red enamel on a guillochage background, while the upper portion reveals a lotus flower with individually-crafted petals. With the help of engraving and grand-feu enamelling, the Hermès Cape Cod Zebra Pegasus draws inspiration from one of the brand’s most luxurious silk scarves. 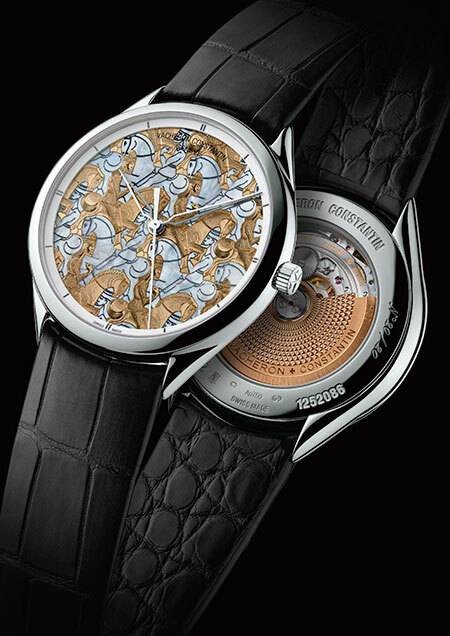 The cloisonné technique also makes an appearance here, used to create the Pegasus wings on the 22-carat gold plate base of the dial. The Ulysse Nardin Hourstriker Oil Pump is engraved in gold and enamelled in black, making it both delicate and opulent. What makes it even more covetable, however, is the fact that the oil pumps move in sync with the gong striking the hours! Artistic dials can be traced back to the 17th century, when artisans had a fine understanding of watchmaking as both a science and an art. Majestic clocks were elaborately engraved, gilded and moulded to illustrate portraits of gods and exemplify recreations of various forms of nature, astronomical phenomena and historical events.